"Stay very close to Our Lady. If you do this, you can do great things for God and the good of people." As it was for Mother Teresa, so it can be for the rest of us. By standing close to Our Lady we can find the grace and courage to overcome our own personal trials and crosses. Summon the same powerful presence and aid of Our Lady by following the example of Mother Teresa. "Sitting with Mother Teresa, watching her tend to the sick and the dying, feeling the aura of holiness around her person, seeing her bent in prayer, lost in God -- how often I asked myself if I was not seeing something of Our Lady, experiencing a glimpse of the Virgin of Nazareth." 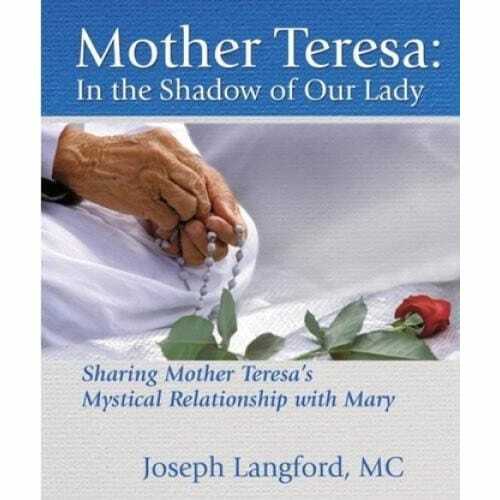 Anyone who loves Mother Teresa and is serious in a spiritual growth quest must read this to know her. It proves once more that Marian devotion is more than a beautiful 'accesory' to our Catholic Faith.